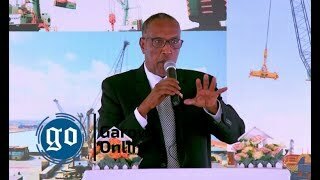 Mogadishu 31st August 2014: Persistent joint effort by the Interim Jubba Administration, AMISOM, IGAD and the International community to resolve the protracted political and security tension in Jubbaland paid off on 30th August 2014 after former opposition leader Col. Barre Hirale and nearly a hundred of his militia surrendered to AMISOM to bring to end the nearly one year of certainty in Jubbaland. 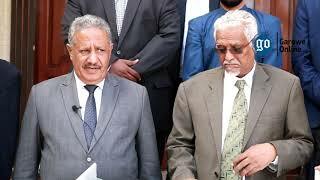 Col. Barre Hirale and his men finally handed themselves after discussions with respected traditional clan elders and Somali federal Government delegations led by the Minister for Justice and Constitutional Affairs Hon. Farah Abdikadir and Minister of Finance Hon. Hussein Halane who hails from Jubba land. AMISOM forces from Kenyan contingent went to pick Mr. Barre Hirale from his location in the town of Gobweyn village, 18Kilometres North-east of Kismayo and escorted him to Kismayo where he met and shook hands his former political rival Ahmed Mohamed Islam (Madobe) leader of Interim Jubba Administration. 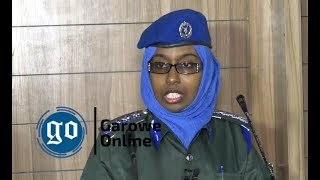 The Acting Head of AMISOM, Honourable Lydia Wanyoto Mutende, welcomed the move by Col. Baree Hirale and urged the people of Jubba land to now work with the Interim Jubba Administration and all security forces to defeat al- Shabaab and usher in new era of peace and development in of Somalia. 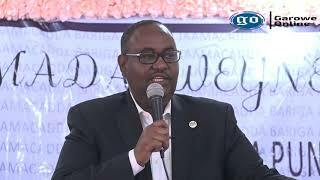 "African Union Mission in Somalia wants to thank Col. Barre Hirale and his militia men for choosing peace and to lay down their arms and join the rest of Somalis in building their country." said Hon. Wayoto. 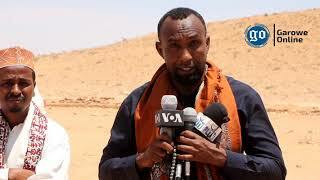 After the capture of the strategic southern port city of Kismayo by Somali forces supported by AMISOM peace keepers, The Jubbaland Administration was formed by clan representatives, who later on elected Ahmed Mohamed Islan as the Jubbaland Administration leader, Barre Hirale and four other candidates disputed the election of Ahmed Madobe as Jubbaland leader and later fought with Jubbaland in Kismayo. When news broke out that Barre Hirale has surrendered, locals received the news with jubilation and hope that the move nearly of one year of political tensions and uncertainty will end.